Chasson Randle is an American professional basketball player who plays in the National Basketball Association (NBA). 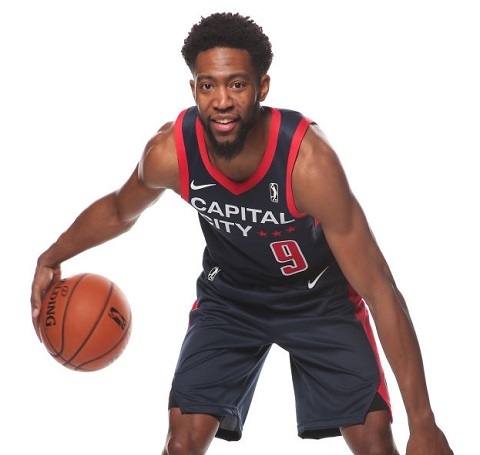 As of 2018, Chasson Randle currently plays for the Capital City Go-Go as their Point guard. Chasson Randle has also played for other teams in past. As a Point guard, Chasson Randle reportedly earns around $121,978 as his yearly salary from Capital City Go-Go. Further, Chasson Randle has an estimated net worth of over $300,000. Chasson Randle was born on February 5, 1993, in Rock Island, Illinois, the United States to father Willie Randle and mother Gwen Randle. As per his nationality, he is American and belongs to African-American ethnic group. Further, his star sign is Aquarius. He grew up along with his three sisters, Lamera Randle, Lakisha Randle, and Khaliyah Randle. Chasson Randle attended Rock Island High School in Rock Island, Illinois where he played for his high school basketball team. After high school graduation, Randle played for Stanford Cardinal men's basketball team representing the Stanford University. Chasson Randle joined the Golden State Warriors for the 2015 NBA Summer League after going undrafted in the 2015 NBA draft. later on July 23, 2015, CEZ Nymburk of the Czech Republic's National Basketball League (NBL) signed Randle. Randle joined New York Knicks on July 2016 for the 2016 NBA Summer League but was signed on August 4, 2016. After appearing in the preseason games Westchester Knicks of the NBA D-League acquired Randle as an affiliate player of New York. Philadelphia 76ers made a 10-day contract with Randle where he made his first NBA debut on January 14, 2017. In his second game for 76ers on January 16, he scored 10 points while Robert Covington, Ersan Ilyasova, Joel Embiid, other players also scored a winning point against Milwaukee Bucks. A few days later he was also assigned to Delaware 87ers in the D-league. Randle moved to New York Knicks on February 27, 2017. However, he waived the club and made a one-year deal with Real Madrid on October 7, 2017. Subsequently, Randle was traded to Capital City Go-Go of the Washington Wizards' G League affiliate from November 2018. As of 2018, Chasson Randle has an estimated net worth of over $300,000. He reportedly signed with Capital City Go-Go in 2018 and has an average salary of $121,978 annually. Randle so far has made earnings of $663,149 from his entire NBA career. Kept aside his financial earnings, his personal assets includes a Home and a car. Further, the NBA Player also earns a good amount of money from various sponsorships. Chasson Randle isn't married yet. He once shared a picture on Instagram with a girl captured in front to of Eiffel tower. However, the information about a girl hasn't been disclosed to the media. It's ??? ?whenever I see you.. appreciate that and the dopeness. Randle is keeping his personal life out of the spotlight. Other than being a famous NBA player, Chasson Randle has gained pretty fame in social media. He is active on Instagram with 18.1k people following him. Randle is not only a world-class athlete but also has a very attractive individual. The Famous NBA star measures 6 ft 2 in / 1.88 m in height and weighs around 185 lb / 84 kg.